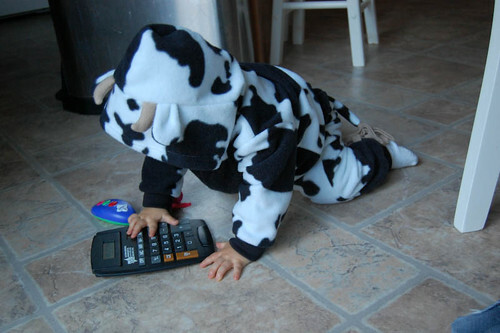 Big-E debuted as a bull in his first Halloween. Our neighbors at the end of the block always do this wonderful Halloween walk-through for the kids in Northern Liberties by sprucing up a (mostly) unused lot and peopling it with creepy delights. 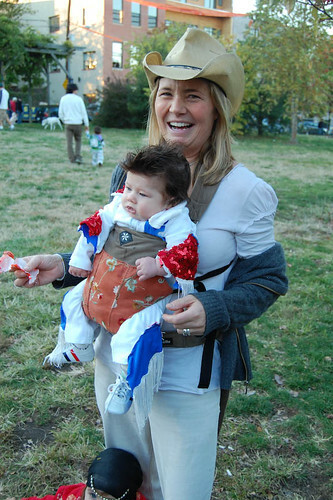 Northern Liberties also has a Halloween kiddie parade. 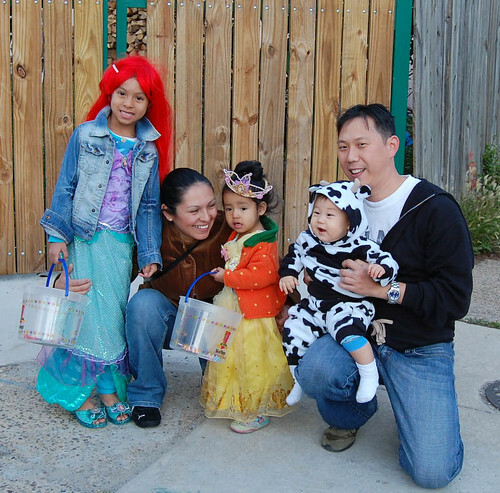 Families of babies and toddlers congregated pre-dusk at Liberty Lands and oohed and aahed at all the cute costumes. We found M there; M is for monkey and E mooed in approval. As we walked in a train through the neighborhood, we found our wall-buddies — the Aguilars. All in all, a happy evening. We celebrated with a quiet dinner at home. Tis the season to break out the warmer clothing. I cracked up when I came home to see Dana reading to Big-E in a hoodie. Yeah, yeah. I know I’ve been behind on Big-E pics. Here’s some showing off some of the more stylish clothing gifts we’ve received for him. We always dry E off in his doggie bath towel. And E always like to style in his leg warmers.